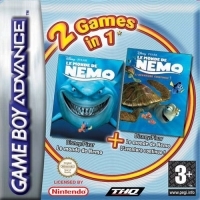 Alt-Name 2 Games in 1: Disney/Pixar Finding Nemo + Disney/Pixar Finding Nemo: The Continuing Adventures! 03-25-2016 leopardo Alt-Name 2 Games in 1: Disney/Pixar Finding Nemo + Disney/Pixar Finding Nemo: The Continuing Adventures! 03-23-2016 mastafafik Name 2 Games in 1: Disney/Pixar Le monde de Nemo + Disney/Pixar Le monde de Nemo: L'aventure continue! This is a list of VGCollect users who have 2 Games in 1: Disney/Pixar Le monde de Nemo + Disney/Pixar Le monde de Nemo: L'aventure continue! in their Collection. This is a list of VGCollect users who have 2 Games in 1: Disney/Pixar Le monde de Nemo + Disney/Pixar Le monde de Nemo: L'aventure continue! in their Sell List. 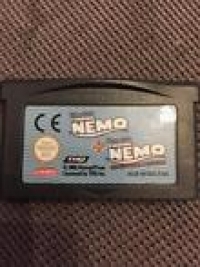 This is a list of VGCollect users who have 2 Games in 1: Disney/Pixar Le monde de Nemo + Disney/Pixar Le monde de Nemo: L'aventure continue! in their Wish List.